We had a fun time at our town's annual festival AND I managed to get some much needed crafting done! YAHOO!! I even have a few more things I need to work on. I felt so good to actual craft once again, now if the ideas would keep coming to me. 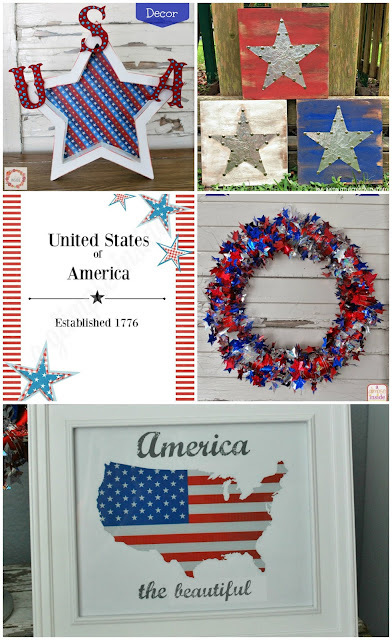 Today, I want to share with you a super easy project that is perfect for the upcoming July 4th holiday. This took me less than an hour to complete from start to finish which is a project I love and is so simple. 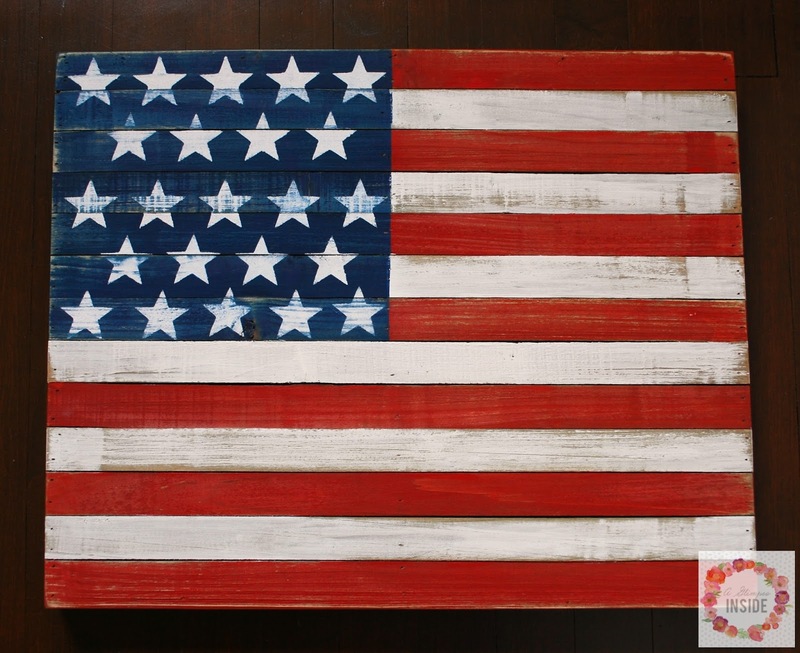 Begin by painting the red stripes of the flag. 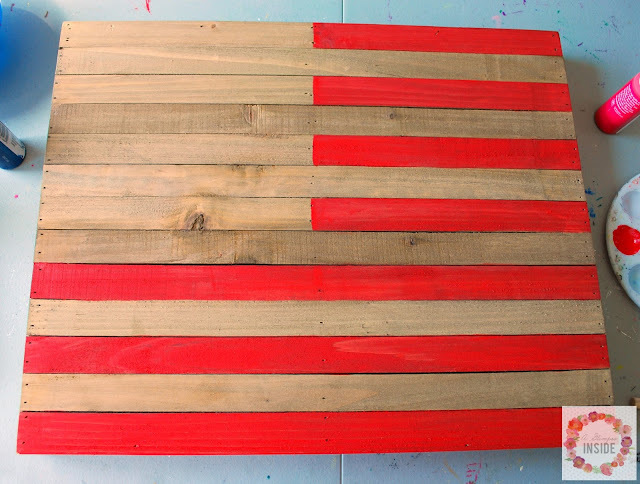 This pallet had 13 pieces perfect for an accurate 13 stripe flag so I began and ended the stripes with red. Next, paint in the remaining stripes white. Leave an area in the top left open, 7 stripes high, for the blue background for the stars. 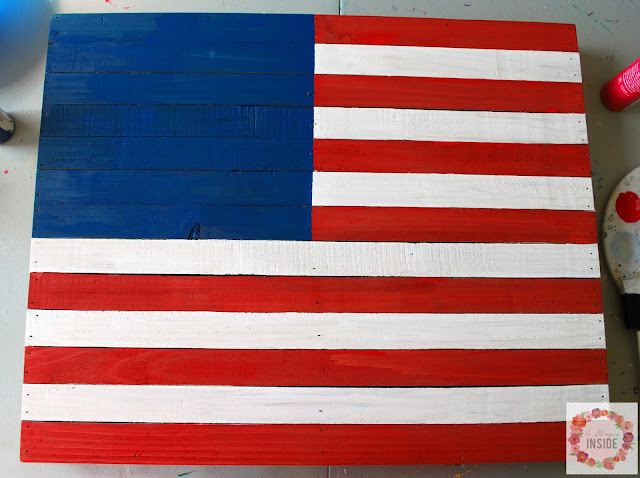 Once the white was complete, paint in the blue background. 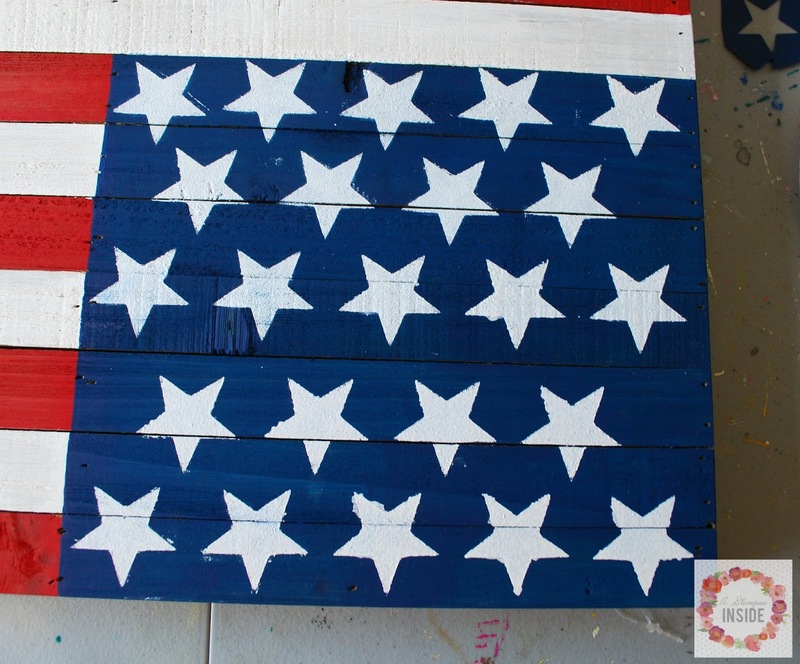 Again, I kept it accurate with 7 stripes high and then went halfway into the pallet to where the center nails were. Once the blue is dry it is time to stencil in the stars. 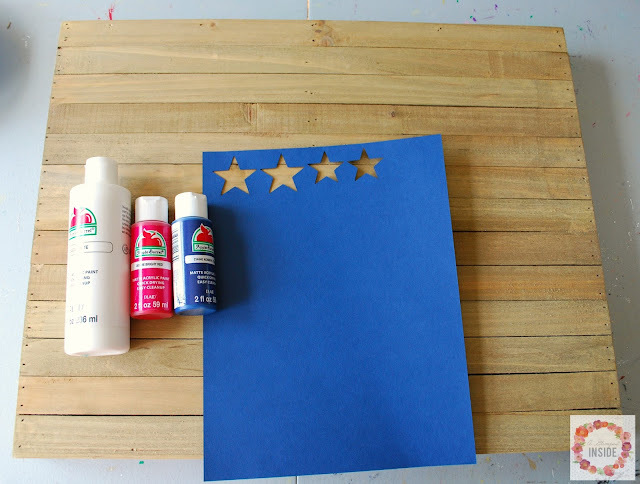 I used my Cricut to just cut out a star of paper as a stencil. 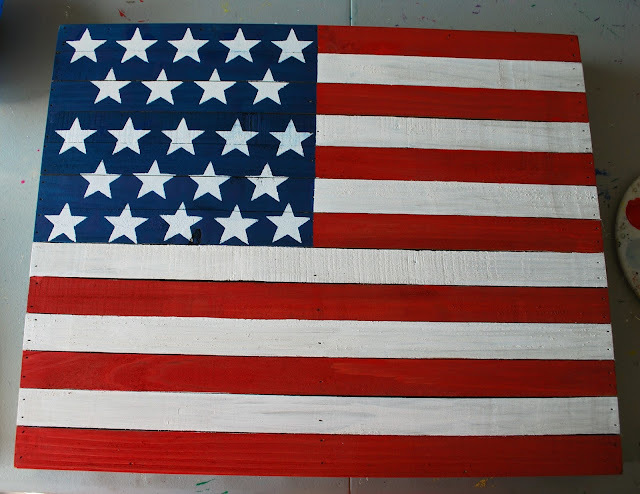 Instead of making a full 50 stars, I kept them a little bigger but did alternate the rows like a real flag. 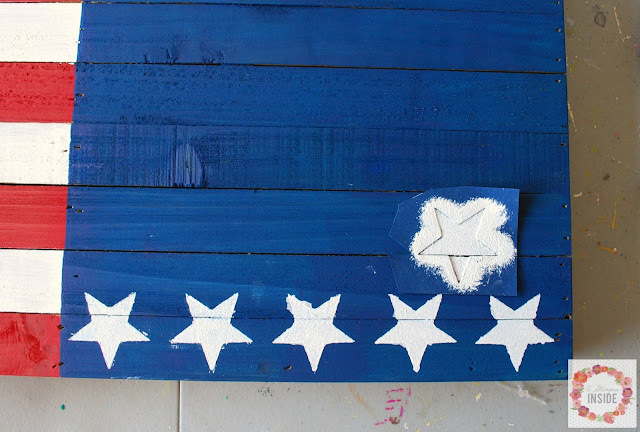 I then touched up any of the blue around the stars where the paint bled a little under the stencil. Now you can stop here if you would like but I didn't want my flag to look so fresh and new. So, I took a sander to it to take off some paint and age it a bit. 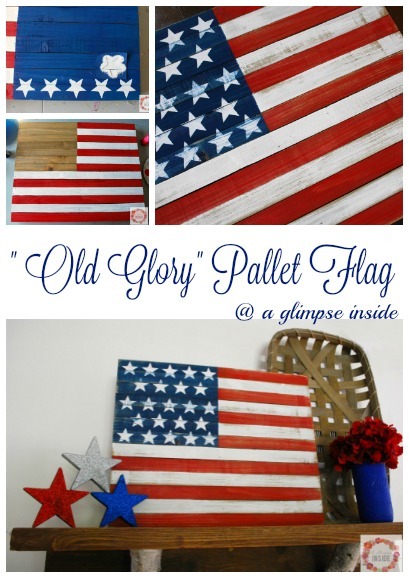 It took off the paint anywhere they was a high point on the pallet and I love how it turned out! 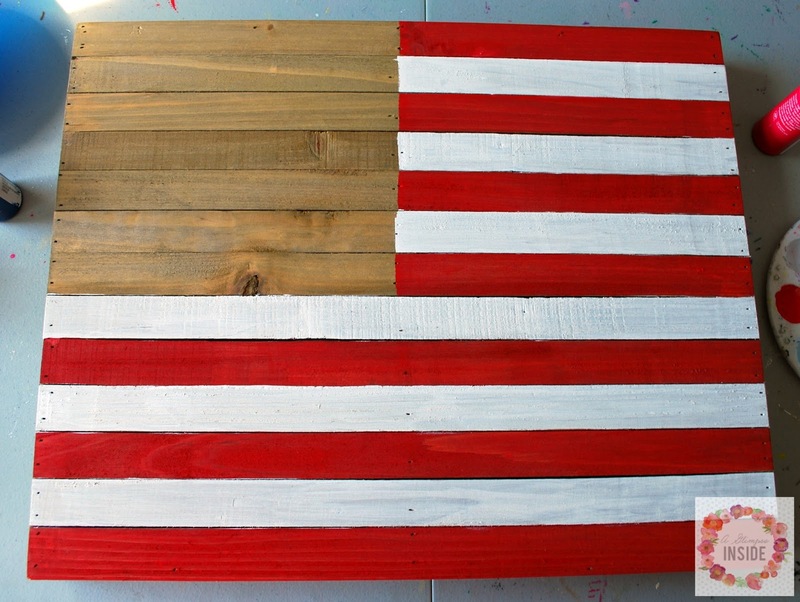 I love how the sanding just gave it enough age and made it not look so new and perfect. So fast, easy, and I love the final result! 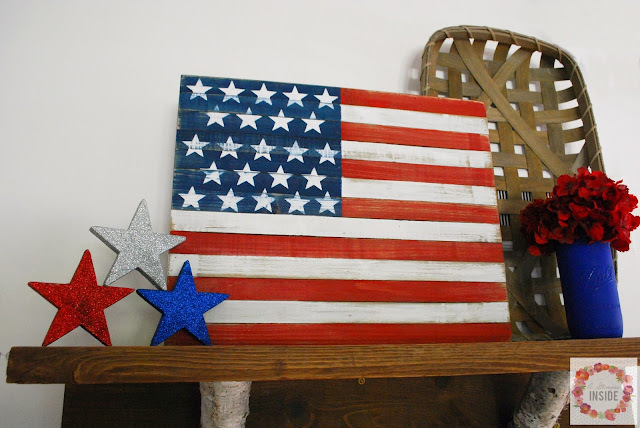 I placed it up on our mantle with some other decor for the 4th of July. Since it is a pallet it can stand freely but this pallet also has hooks on the back if you'd like to hang it somewhere. 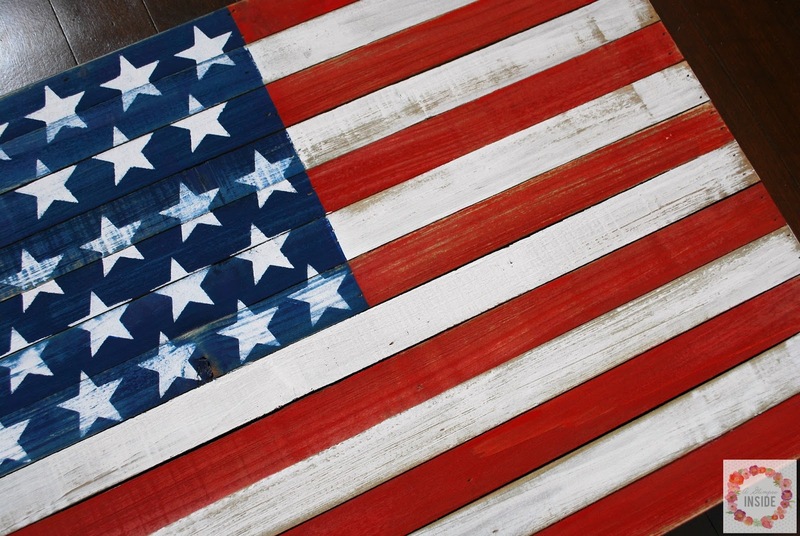 We are ready to celebrate July 4th! 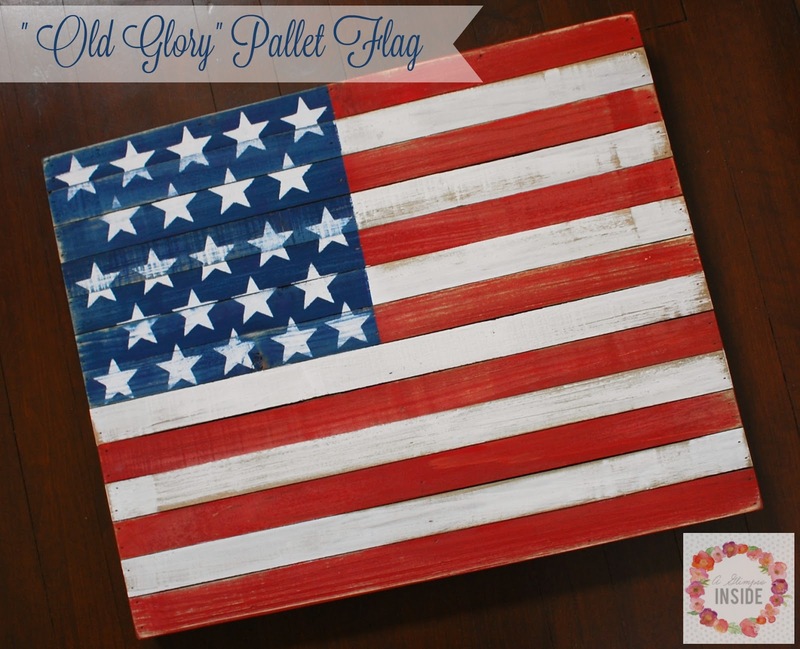 Stay tuned tomorrow for another patriotic craft!